Entries will close on 31 December 2018. In 2012 Seizure began a novella prize to celebrate and promote short novels – because we love the form and believe some of the greatest works in the English language are actually novellas. Even in its first year, competition was fierce with over 80 submissions. We made a shortlist in January 2013 and selected a winner, working on the book in secret until the big reveal at the Emerging Writers Festival in Melbourne where Sandy Grant spoke of the power of the form and the support of Copyright Agency which would kick in for our second year. The inaugural winner was the talented, subtle and emotionally powerful Midnight Blue and Endlessly Tall by Jane Jervis Read. 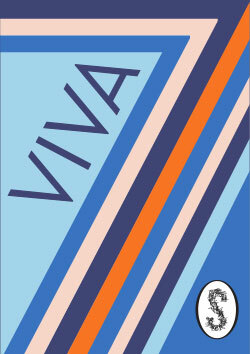 In 2013, with funding from the Copyright Agency Cultural Fund, the Viva la Novella award expanded to create opportunities for four editor-judges to take a rare and important career stepping stone: selecting the entry of their choice to develop through the process of contracting, manuscript development, author support and editing, through to print and post-publication promotion. We had four talented editors select their novellas of choice – Elena Gomez, Emily Stewart, Patrick Allington and Carody Culver – Zoë Sadokierski did the covers for four more brilliant novellas: Blood and Bone by Daniel Davis Wood, The Neighbour by Julie Proudfoot, The Other Shore by Hoa Pham and Sideshow by Nicole Smith. In 2014, thanks to the generosity of a private patron, Viva la Novella came back for its third year looking for three new short novels to develop and publish through Seizure as beautiful printed works and the big reveal took place at the Melbourne Writers Festival on August 21st. Editors Zoya Patel, Marisa Wikramanayake and Nicola Redhouse published Welcome to Orphancorp by Marlee Jane Ward, Formaldehyde by Jane Rawson and The End of Seeing by Christy Collins. 2015 welcomed a new supporter, IPED, and a new editor, Tom Langshaw along with Seizure Editor-in-Chief, Alice Grundy. Rose Mulready's The Bonobo's Dream and George Haddad's Populate and Perish were published in September 2016. In 2016, guest editor Genevieve Buzo selected Stephen Wright's A Second Life and Alice Grundy chose Mirandi Riwoe's The Fish Girl – two radically different books, alike only in quality. For more details, click here. The Fish Girl has been shortlisted for the Stella Prize and the Queensland Premier's Fiction Prize. Viva la Novella VI saw not one but two Kiwi winners of the prize, Avi-Duckor Jones' Swim and Anna Jackson's The Bed-making Competition. Find out more here. For full guidelines and information on how to enter, click here. Read an excerpt from Viva la Novella VI shortlisted writer, Hasti Abbasi. Read an excerpt from shortlisted writer, Naomi Barton’s, Liar’s Candle. Meet Viva la Novella VI shortlistee Naomi Barton. Meet Hasti Abbasi, Viva la Novella VI shortlistee. Books now out in bookstores. Viva la Novella IV was made possible by the support of IPEd and the NSW Society of Editors. Viva la Novella III was made possible by private donation. 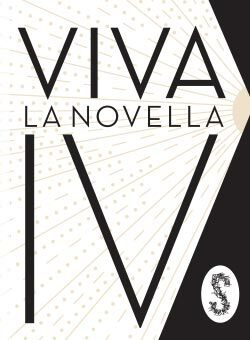 Viva la Novella II was made possible by the support of the Copyright Agency.